Since its inception in 1963, the Chinese University of Hong Kong (CUHK) has played a significant part in the cross-fertilisation of Chinese and Western academic and cultural traditions. The first student exchange programme was launched in 1965 with the University of California. Since then, student exchange programmes have been established with over 200 institutions worldwide. 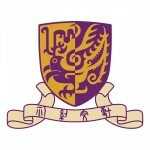 Each year CUHK welcomes nearly 1000 students from both the partner and non-partner institutions to study for one term or the entire academic year.